Where we live, we don’t get much, if any, snow during the winter months. 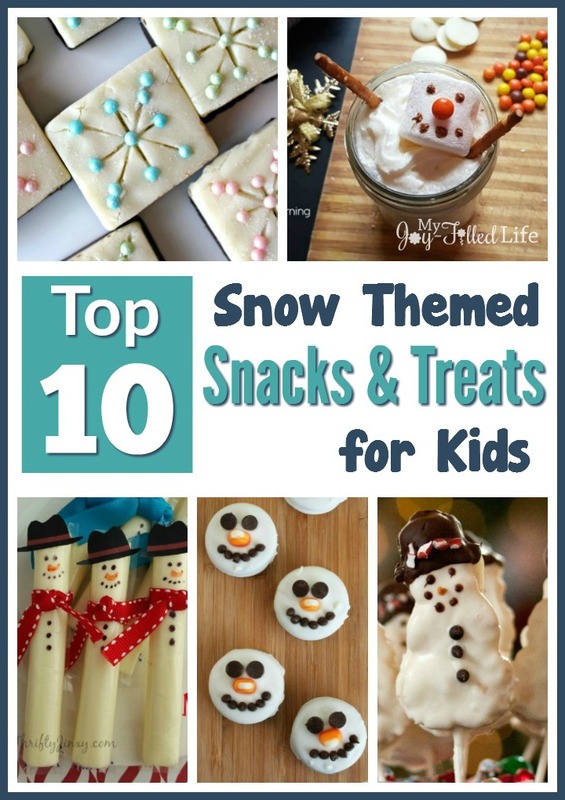 But that doesn’t mean we can’t enjoy some fun snow themed snacks and treats. 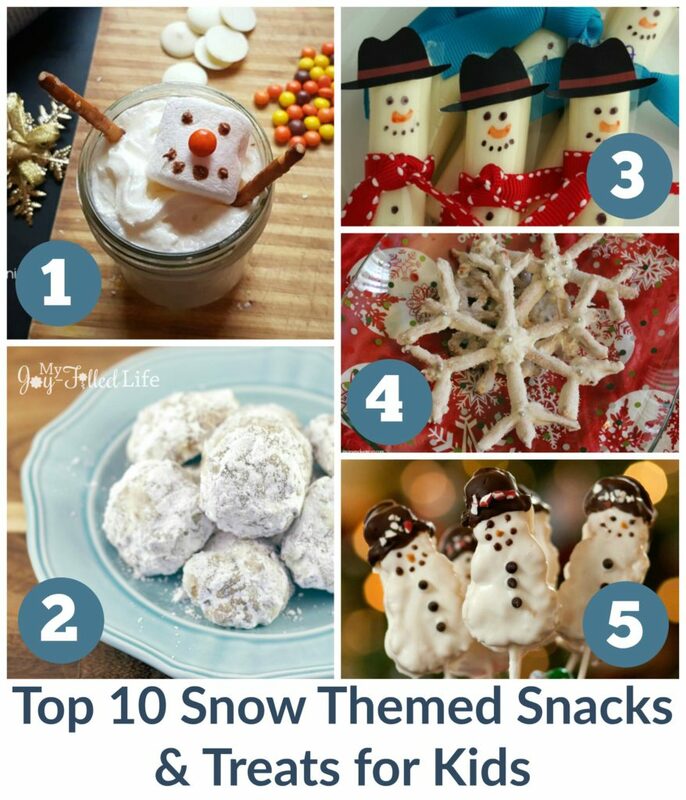 There are so many cute snow and snowman treats and snacks out there that it was hard to pick just ten. I decided to go with a variety of different treats and these were the best ones I found! Any of these ideas would be great to incorporate into any snow themed activity or story time. 1. Warm up after playing outside in the real stuff (snow) with this super cute snowman white hot chocolate from Living Life and Learning. 2. These classic snowball cookies from Pint-Sized Treasures are perfect for a cookie exchange or party. And they are loaded with mint chocolate chips on the inside. Yum! 3. 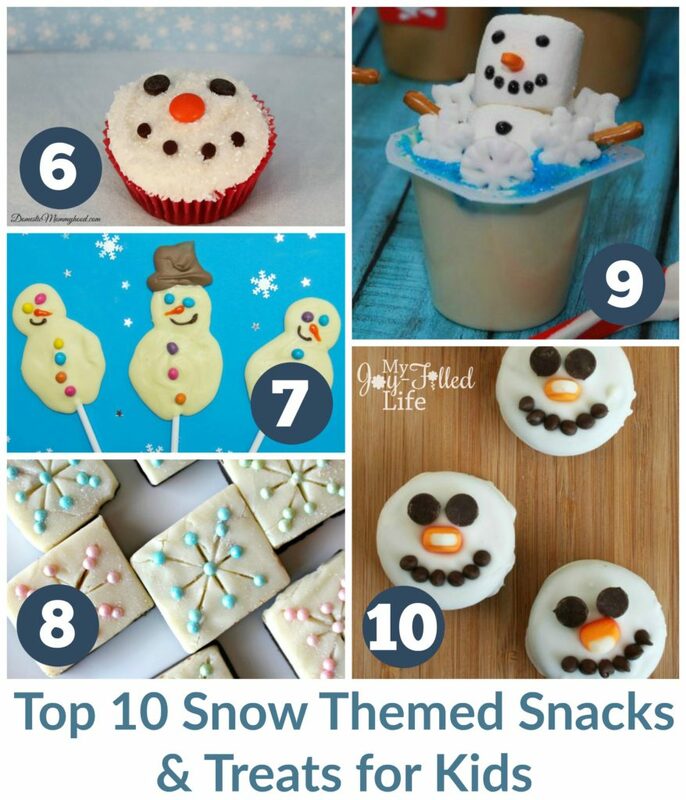 These snowman cheese sticks from Thrifty Jinxy are so creative, yet so simple! She also provides the printable hats to make it even easier to for you to make. 4. Chocolate and pretzels go hand-in-hand in my book. These snowflake pretzels from Mom Endeavors will look so pretty on any dessert table or plate. 5. You’ll be the hit of any holiday party with these Rice Krispie chocolate snowmen from Who Needs a Cape? They are an adorable treat for kids this winter. 6. These sparkling snowman cupcakes from Domestic Mommyhood are so simple, making them a must-make this winter. 7. Need a fun and frugal activity for the kids when it’s too cold to go outside? These homemade white chocolate snowman lollipops from Kids Craft Room are just the ticket. 8. Make your fudge sparkle with this yummy fudge recipe and decorating idea from The Monday Box. 9. How fun does this snowman bubble bath from The Tip Toe Fairy look? You and your kids will have just as much fun making this as you will eating it. 10. Turn some Oreo cookies into festive snowmen with this idea from Living Sweet Moments. 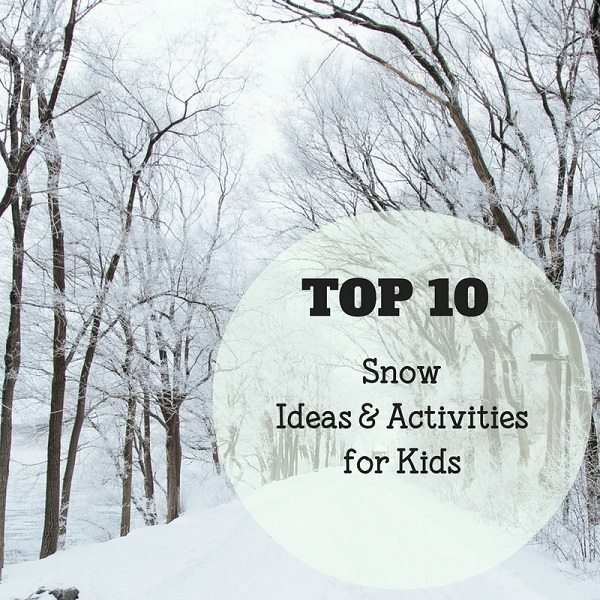 Do you need more snow ideas and activities to keep your kids busy this winter?